Winning is a state of mind that embraces everything you do. 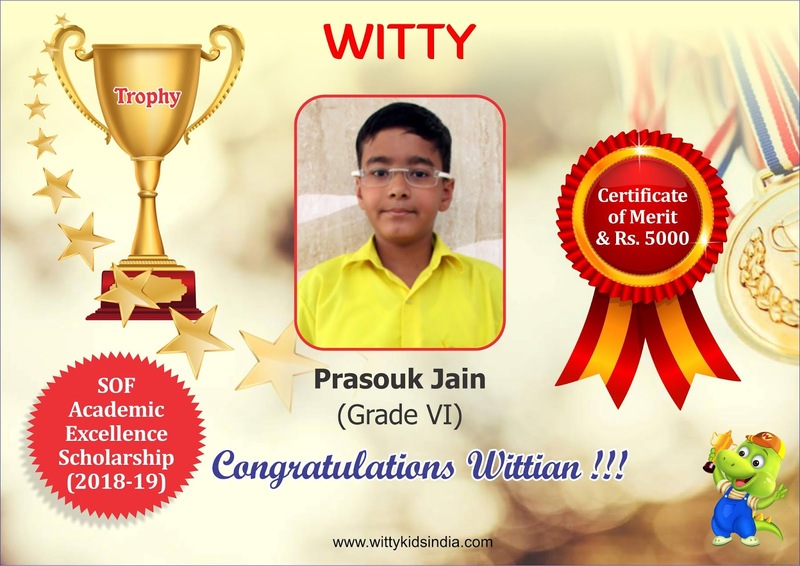 WIS, congratulates Prasouk Jain of Grade VI, for his exceptional performance in SOF Academic Excellence by winning scholarship for year 2018-19. The school lauds his outstanding endeavours for accomplishing such a marvellous result.